Great battery pack for stock Speed 400 type flying wings and planes. Excellent flight time upgrade for the DJI F330 Flame Wheel! Perfect lightweight option for the DJI F450 Flame Wheel. 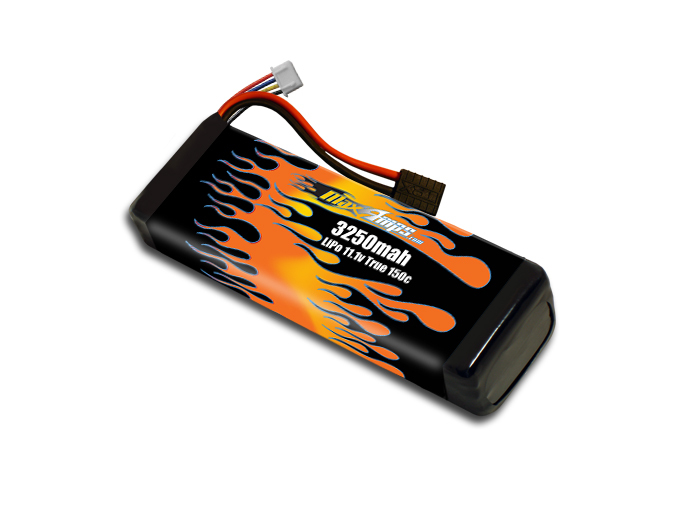 Best battery I have used and the power to size ratio is just the ticket for all my pullers. MaxAmps has been great to deal with and will help when you have problems. Three cell battery ordered for Opale Paraglider. Very satisfied with battery and ordering experience. The power of these lipos dont fall off after few minutes. These lipos have great punch right up until the end of the Lipos runtime. All i use now is MaxAmps Lipos after trying many other brands.